The other day we got to find out how waterproof the Samsung Galaxy S6 Edge was and now it is the turn of the HTC one M9. 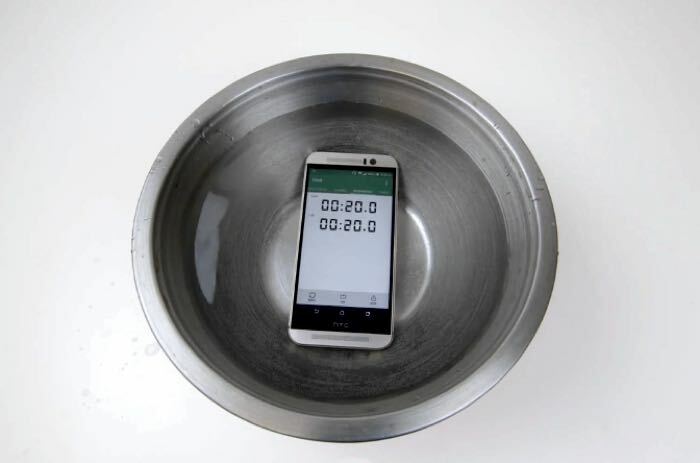 The HTC One M9 is not designed to be waterproof have a look at the video below to see if the device can actually survive when submerged in water. As we can see from the video it appears that the HTC One M9 is somewhat waterproof and managed to last over 20 minutes, although at the end the device was not fully working. If you do accidentally drop your HTC One M9 in water and get the handset out quickly, it would appear that there is a good chance that the handset would survive.